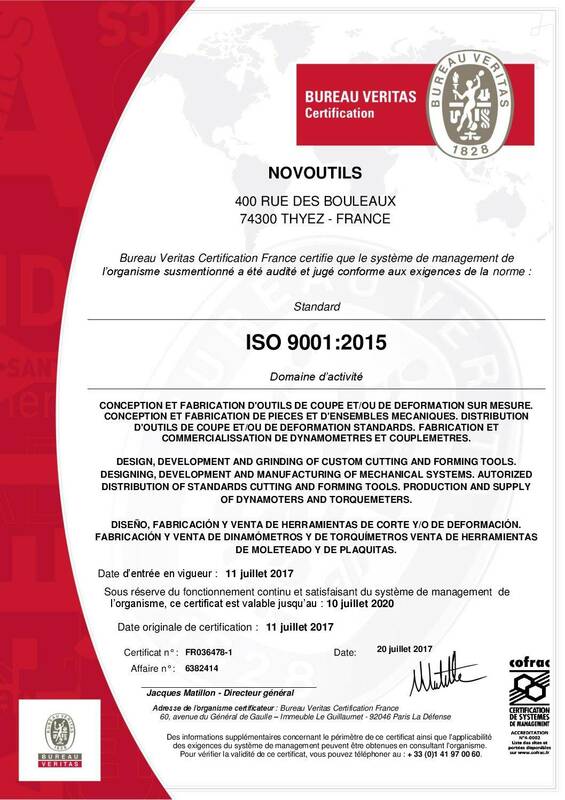 We are certified ISO 9001 : 2015. Design and production of custom cutting tools. Design and production of custom forming tools. Design and production of holders. Commercialization of standard cutting and forming tools. Production and commercialization of mechanic dynamometers and mechanic torquemeters. If you need more information concerning our custom tools, please contact-us by e-mail.